How does a brand become a household name? A great product, innovative marketing, loyal customers, and smart business decisions are all factors. But sometimes, there's that extra element -- what could be called a combination of luck and opportunity. 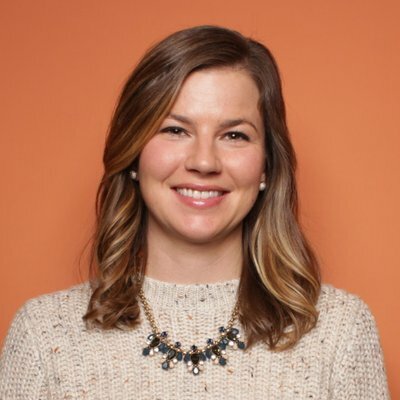 A founder makes a one decision out of thousands of options, and that's what made the difference in the business. These stories of complicated beginnings and dramatic efforts to save the company are interesting, especially when the company finally finds success. Get to know these brands better by learning more about their surprising pasts. 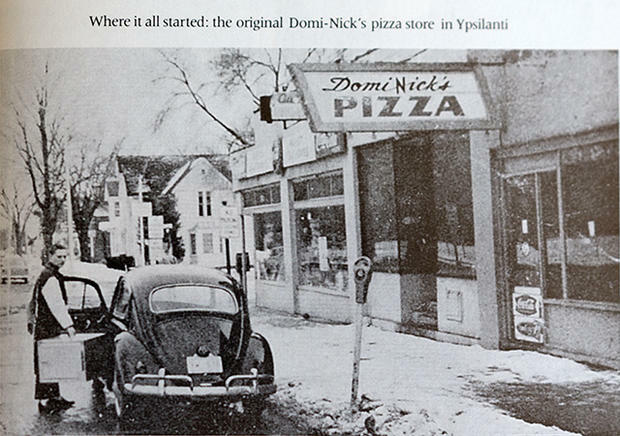 In 1961, brothers Tom and James Monaghan bought a pizza joint in Ypsilanti, Michigan -- DomiNick's -- for $500. One year later, James decided to get out of the restaurant business by trading his stake for the Volkswagon beetle they had used for deliveries. Domino's would go on to become the second-largest pizza chain in the U.S., and in 1998, Tom sold 93% of the company to Bain Capital for around $1 billion. Atlanta-based pharmacist Dr. John Stith Pemberton suffered a saber wound to the chest during the Civil War, after which he became addicted to morphine. This led him to create a drink modeled after a Parisian chemist's Vin Marian, a combination of cocaine and wine. 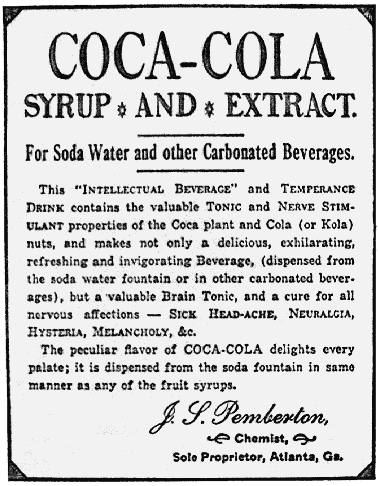 He told a reporter from the Atlanta Journal of his French Wine Coca: "It is the most excellent of all tonics, assisting digestion, imparting energy to the organs of respiration, and strengthening the muscular and nervous systems." Once prohibition came to Georgia in 1886, he replaced wine with sugar syrup and renamed the drink Coca-Cola, calling it "the temperance drink." The cocaine in the drink wasn't removed until 1903, when social fears of violence forced the manager of Coca-Cola reformulate the beverage. Ferruccio Lamborghini founded a tractor factory after World War II, making him a wealthy man by his early 60s. But he loved sports cars and spent time disassembling his Ferraris and Maseratis. He discovered that many of the parts used in his tractors were also used in these high-performance vehicles -- and could garner much higher prices. 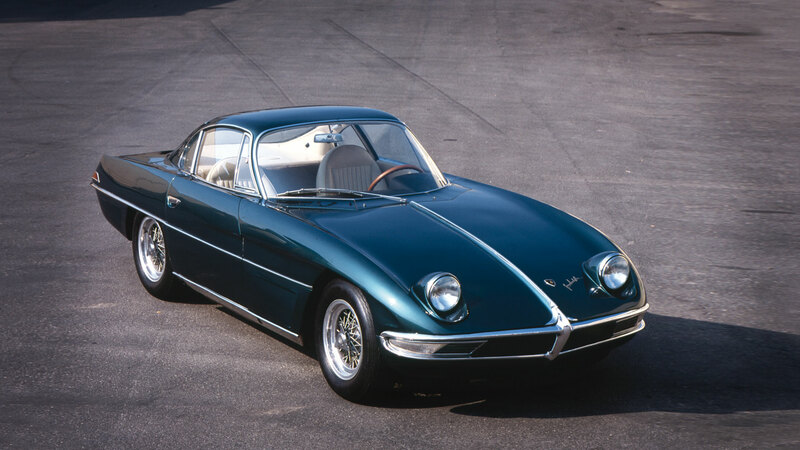 However, his jump into the car industry is said to be due to an insult from a fellow entrepreneur: Lamborghini owned a Ferrari 250 GT, which he was constantly having to take to the shop due to problems with the clutch. He ended up personally meeting with Enzo Ferrari who said that “the problem is not with the car but with driver,” telling him to go back to his tractors. This prompted Lamborghini to buy land outside of Bologna, where he built a modern manufacturing plant and created the 350 GTV model in less than six months. According to the story, a Proctor & Gamble employee forgot to turn off the mixer on a batch of Ivory Soap mix while he was on his lunch break. The batch seemed to be fine, so they sent it out to be cut up and sold without much worry. However, when the company started getting orders for "floating soap," there was an investigation that led back to this overly whipped batch, which was later found to also have fewer reagents due to the longer mixing time. 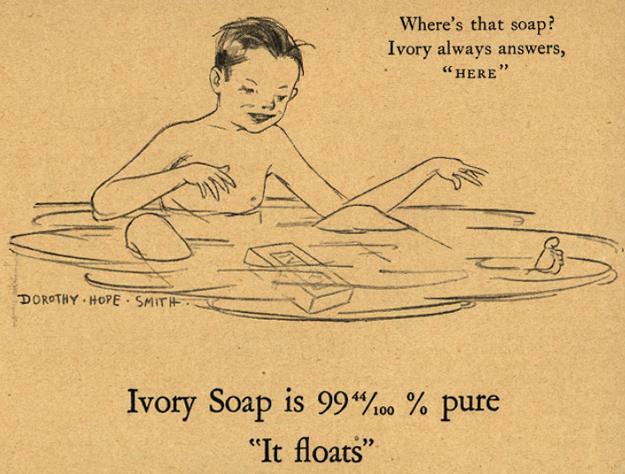 The novelty of floating soap was turned into a slogan for the company, helping to propel the brand to become a household name in the late 1800s. Fred Smith, founder of FedEx, was desperate. While he had raised $90 million in funding by 1974 and contributed $4 million from his own bank account, his three-year-old company had only $5,000 in the bank, and he was staring at a $24,000 fuel bill. He had just been denied a loan and there were no options for getting his planes off the ground on Monday. Smith hopped on a flight bound for Las Vegas and gambled his remaining funds at the blackjack table. It was worth the risk. He returned home with $27,000, which was enough to float the company until it raised additional funds. By 2013, FedEx employed more than 146,000 people and saw $26.5 billion in revenue. Dave Thomas began working in the restaurant business at the age of 12. 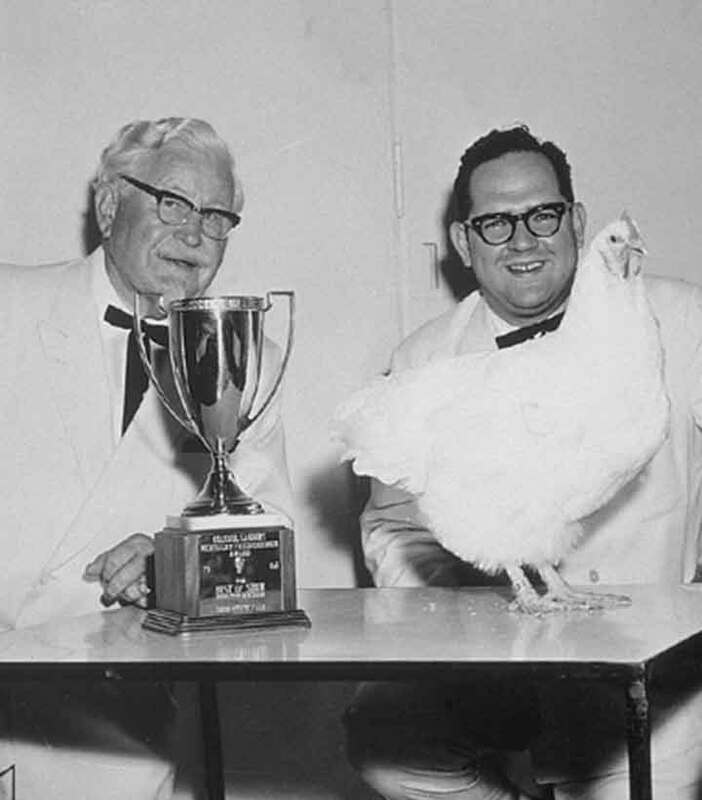 In 1953, Thomas' mentor bought a Kentucky Fried Chicken franchise, which led to him meeting Colonel Sanders. 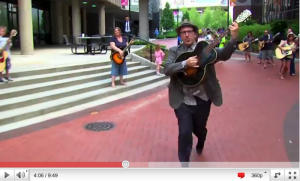 A few years later, Thomas was tasked with turning around the four failing KFC restaurants in Columbus, Ohio. He simplified the menu and erected a sign that featured a rotating bucket of chicken. The successful locations were sold back to KFC for $1.5 million dollars, which Thomas used to fund his own fast-food restaurant. Cream of Wheat founder and general manager Colonel Mapes was dining at Chicago's Kohlsaat's Restaurant when he was struck by the friendly smile of one of the waiters. Mapes secured photos and rights to his image, and the chef became the face of the brand from 1900 to 1925. No records about the details of the individual remain, though his likeness is still used in the company's logo to this day. 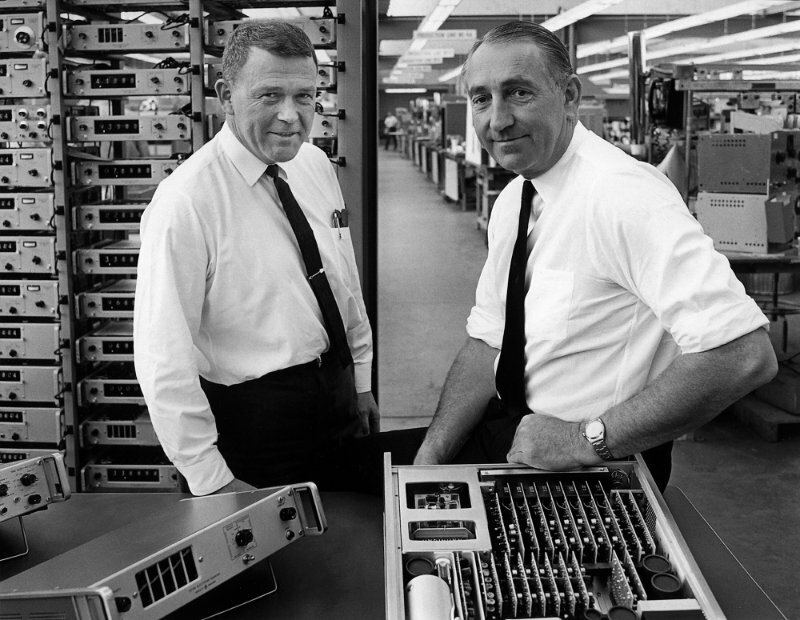 Bill Hewlett and Dave Packard started their technology company from a garage in Palo Alto, California, in 1939. They had $538 in working capital. When it came time to name their company, the two entrepreneurs had a coin toss to see whose name would appear first. Packard won, but they ultimately decided to name the company Hewlett-Packard, rather than Packard-Hewlett. Lee Byung Chull founded Samsung, which means three stars, in 1938. 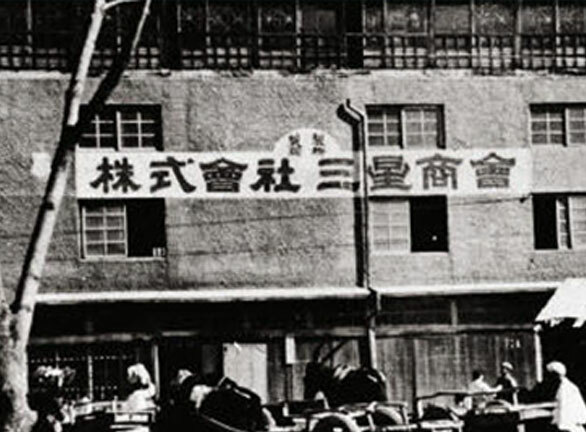 It was a grocery store that produced noodles as its signature item. Lee was forced out of the city during the Korean War, so he then started a sugar refinery and woolen mill, eventually expanding into manufacturing, insurance, broadcasting, and other industries before launching an electronics division. Lee emphasized creating quality and being No. 1 in the industries it entered. This focus was passed on to Lee's son, Kun Hee-lee, who created a bonfire out of $50 million worth of inventory after being disappointed with the quality of the company's first cell phone. This focus on quality has paid off: Samsung shipped 81.3 million phones during the fourth quarter of 2015, compared to the 74.8 million shipped by Apple.